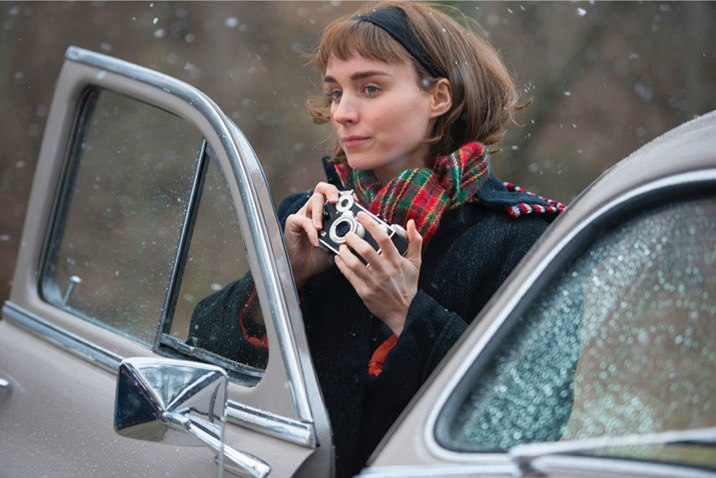 Time Out has named its 20 favorite movies of 2015, with Todd Haynes’ “Carol” topping the list. Although the chain’s publications often share copy across the Atlantic, this particular list, compiled by critics Cath Clarke, Dave Calhoun and Tom Huddleston, is London-only, which means it’s pegged to U.K. release dates: “Inherent Vice,” their #2, was a 2014 movie in the U.S., as was #8 “Birdman,” #16 “Love Is Strange,” and #20 “A Girl Walks Home Alone at Night.” Terence Davies’ “Sunset Song,” in at #15, won’t be out in the U.S. until 2016, and #10 “London Road,” a Tom Hardy-starring musical about a small English town dealing with the impact of a murder, hasn’t been announced for an American release. (Fancy that.) Time Out New York’s Joshua Rothkopf says his own Top 20 will publish next Wednesday, and promises a total lack of “Chappie.” Click on through for the individual writeups and the complete Top 20.